As you start building your puppet, the first thing you need to do is to select your character. If this is your first puppet, it is always better to choose a simple character. A simple character is a character with two legs, two arms, a head and torso. To start with, you should avoid a character with too many loose clothes such as a cloak or baggy pants. Once you are used to constructing puppets, you will understand how to cut them apart and loose clothing will not be as much of a challenge for you. 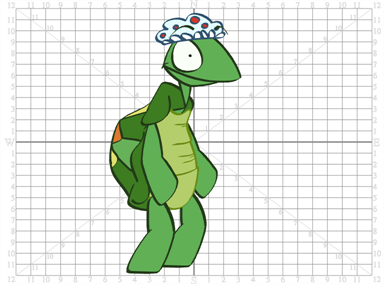 The character we chose for this cut-out demonstration is a turtle. You could also create your character from a picture. 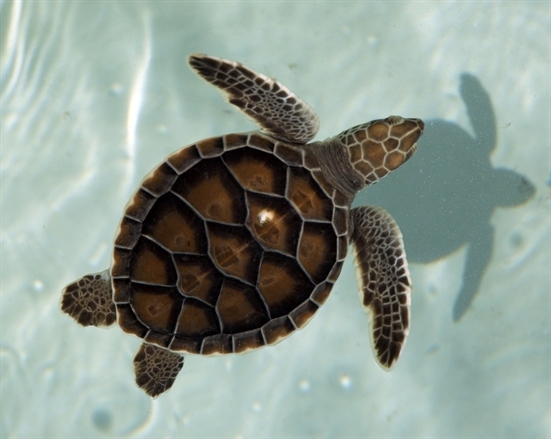 Instead of drawing a turtle, you could use a photograph of a turtle and break it apart in Toon Boom Studio or another third party software, such as Adobe Photoshop. 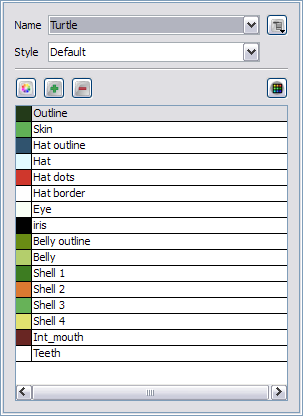 • Create a template using the Library and import it into your new scene. • Import a bitmap image. • Import a picture, etc. If you import a picture, make sure to import it as a Vector element and not an Image element in order to erase portions and cut pieces. Once your drawing is imported into your new scene, you need to create a new colour palette for your puppet, unless, of course, you are using a photograph.